Flee from the coming ________? For several years I taught at a historically United Methodist conference center where thousands gather every summer. Despite the majority of participants being active in local churches for decades, I was saddened by how many did not know basic teachings from Scripture or basic teachings out of the Wesleyan corpus. In one of the Bible studies I taught involving a large number of people, I asked participants to complete the following sentence: “Do you desire to flee the coming _____________?” Silence followed. No one knew the answer. No one even knew the question was ever asked in Methodism. When I began to explain the origins and the biblical reasoning for the question, many sat in stunned silence. 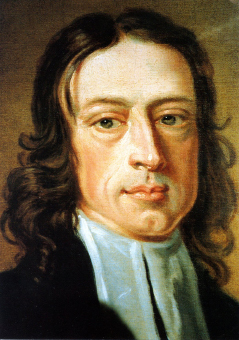 Posted on June 25, 2014 by John MeunierPosted in Discipleship, Methodism, SalvationTagged God, john wesley, wrath. Next Next post: Local option already here? I recognized the phrase immediately, but I don’t think I’ve ever heard it from a Methodist pulpit — only from late-night radio evangelists, the occasional Jack Chick tract, and so forth. If they are ignorant of a book readily available to read where do you think they stand on other studies like history, culture, law etc. that are all included in scripture? Maybe that is why people of the church will believe just about anything anyone teaches and are easily misled. I read a piece today about god’s wrath. It was a long piece about prophets and natural disasters and full of misinformation. If the author of the piece would have done a little more study they would know the world outside the “people of God” who are “set apart” to set an example believed natural disasters where always the result of some god they dreamed up who was not pleased. If Baal and Ashtoreth were not pleased the world was a mess so they tried to appease their gods. If they cannot fill in the blank do you think they know who Baal ans Ashtoreth are? 8 “Behold, you trust in lying words that cannot profit. 9 Will you steal, murder, commit adultery, swear falsely, burn incense to Baal, and walk after other gods whom you do not know, 10 and then come and stand before Me in this house which is called by My name, and say, ‘We are delivered to do all these abominations’? 11 Has this house, which is called by My name, become a den of thieves in your eyes? Behold, I, even I, have seen it,” says theLord.